Vijayawada: The Telugu Desam Party on Tuesday adopted a new political resolution that lambasted the Modi government for its “dictatorial” attitude towards states and vowed to unite regional parties to take on the BJP government in the 2019 Lok Sabha polls. The “dictatorial” attitude of the Narendra Modi government, its “unilateral and anti-people decisions, misuse of central intelligence agencies and regulatory agencies to suppress the political opponents have become a matter of grave concern in the Indian polity”, it read. The resolution was adopted at “Mahanadu”, the three-day annual conclave of the TDP that began on Sunday. “On the occasion of the swearing-in ceremony of H D Kumaraswamy, leaders of various political parties had assembled in Bangalore as a token of solidarity of regional political parties. “N Chandrababu Naidu (Andhra Pradesh chief minister) was a tall leader in this meet and it was a clear indication that regional political parties are going to be a power to reckon with in the 2019 elections as an alternative to national parties to form a government in Delhi,” the TDP resolution said. Andhra Pradesh Finance Minister Yanamala Ramakrishnudu said the Modi government was taking “dangerous steps” against constitutional values and that it would be “dethroned by united regional parties” in the 2019 general elections. He also said that former prime minister Atal Bihari Vajpayee and BJP veteran L K Advani respected the Constitution, but PM Modi and party chief Amit Shah were “destroying the democratic system” in the country. “The Modi government’s policies are against secularism. The ruling party uses RSS cadres, who have a fascist mentality. It is also spoiling fiscal and political values,” he alleged. “There’s no democratic system under the Modi government. We respected Vajpayee and Advani who revered and protected the Constitution. But then came the Modi-Shah duo. They destroyed the entire democratic system,” the minister alleged. The Centre is interfering in the working of the 15th Finance Commission, he told reporters on the sidelines of the conclave. 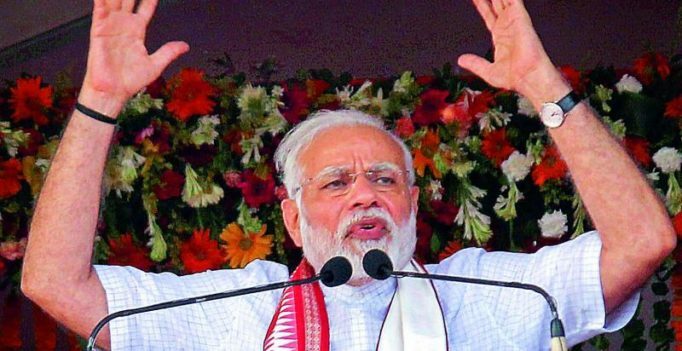 The Modi government is taking “dangerous steps against constitutional values and the TDP will unite all regional parties to stop it in 2019”, Ramakrishnudu alleged. The BJP government would be “dethroned” by an amalgamation of regional parties, he said, but parried a query on who would be the prime ministerial face if a united front comes into being.